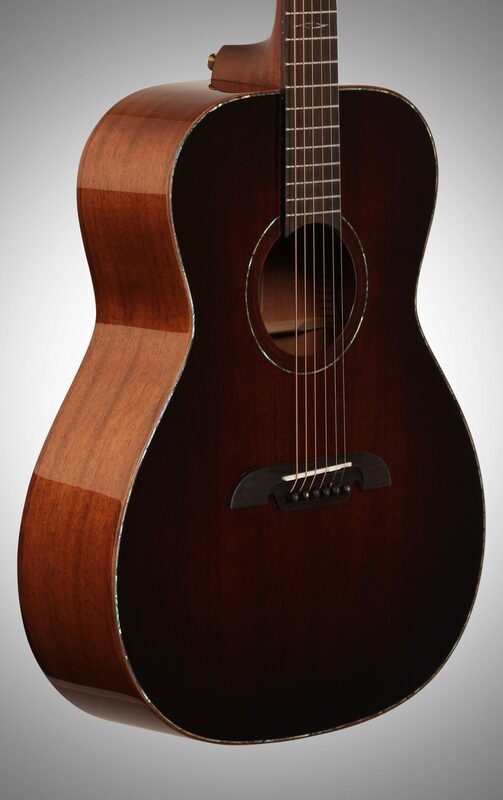 The Alvarez MFA66SHB is made from a hand selected, solid African mahogany top, and solid, fully-cured African mahogany back and sides. Each component is made of natural material, including real bone saddles and nuts, Acacia Koa binding, Paua Abalone purflings, ebony bridge pins and green abalone inlays. 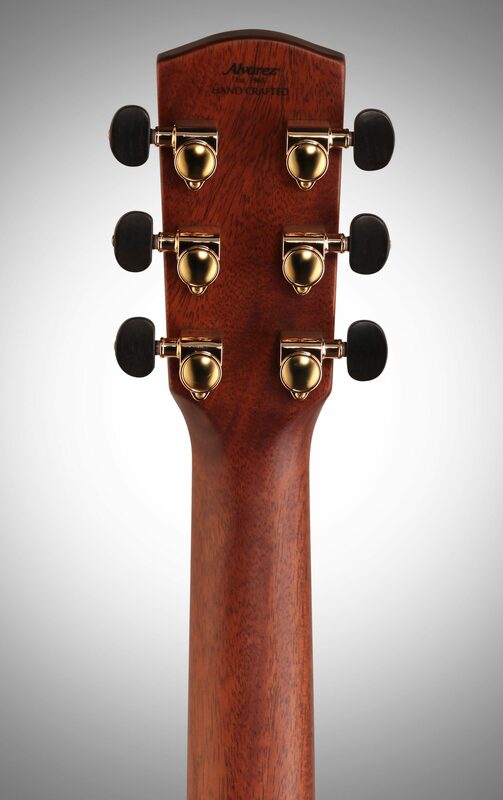 Masterworks guitars feature a one-piece mahogany neck with a 50/50 finish, premium tuners with ebony buttons, and 12th Fret abalone inlay. The Masterworks bracing system is forward shifted with scalloped, hand finished X braces that allow these guitars to project incredibly well. There's lots of sustain and dynamic response. 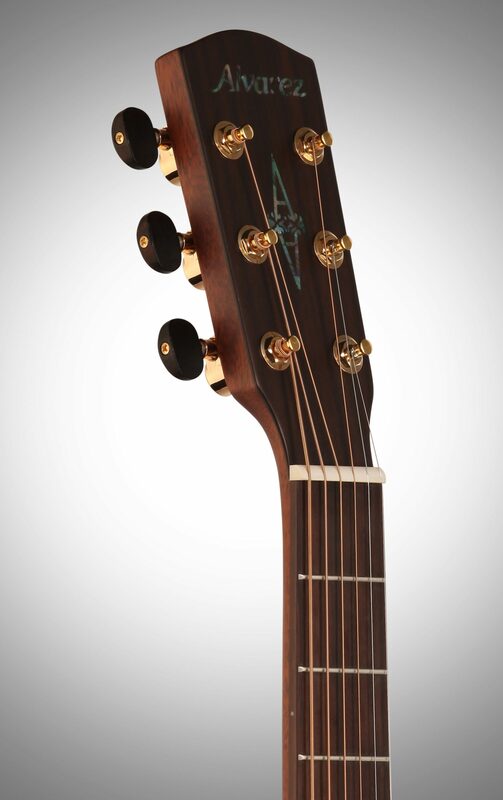 Either strummed or picked, the separation and balance across the strings is unprecedented in this price range. 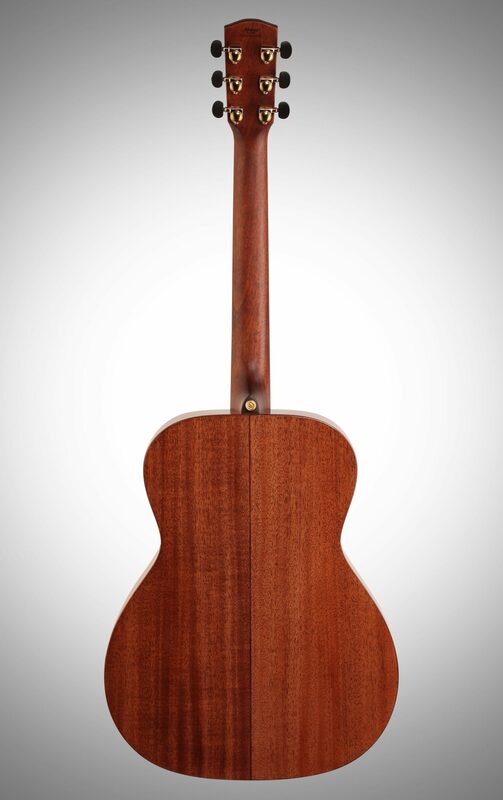 Beautifully voiced, professional guitars made from all-solid, seasoned tone woods. All solid wood really does make a difference, and Alvarez made sure each Masterworks gets the best out their solid wood construction. They are very open sounding, powerful instruments with rounded notes and plenty of bass. - Scale (inches) : 24 13/16"
- Nut Width (inches) : 1 3/4"
Overall: Just received this today. Beautiful guitar with a great tone. I bought this because it was all solid mahogany. 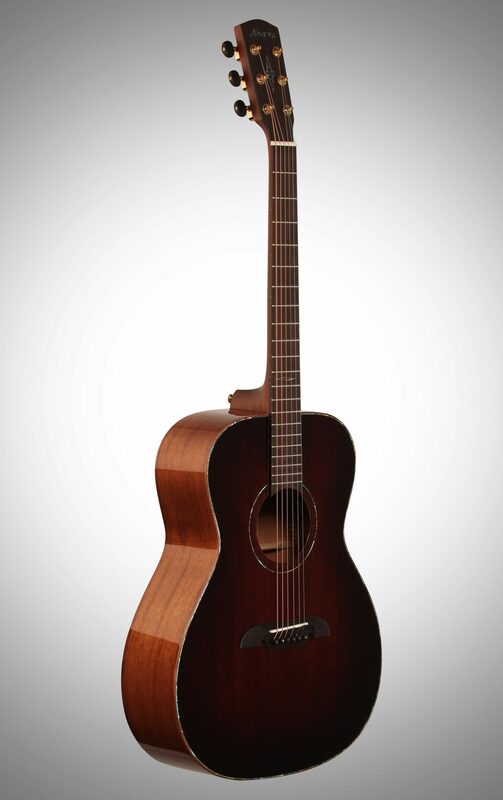 I like balanced tone of an all mahogany guitar and also own a 1951 Martin 00-17 and a 1999 Martin OM-15. The sound compares favorable with both of the Martins. 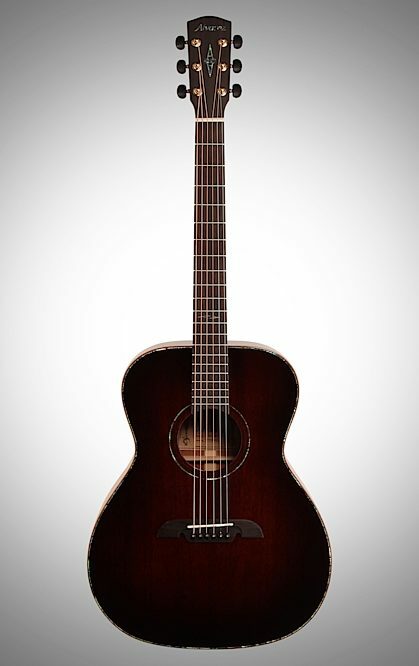 I also wanted a short scale guitar and your talking over $2k for a Martin with similar specs. The workmanship is flawless both inside and out. If your a fan of mahogany, this offers great bang for the buck. 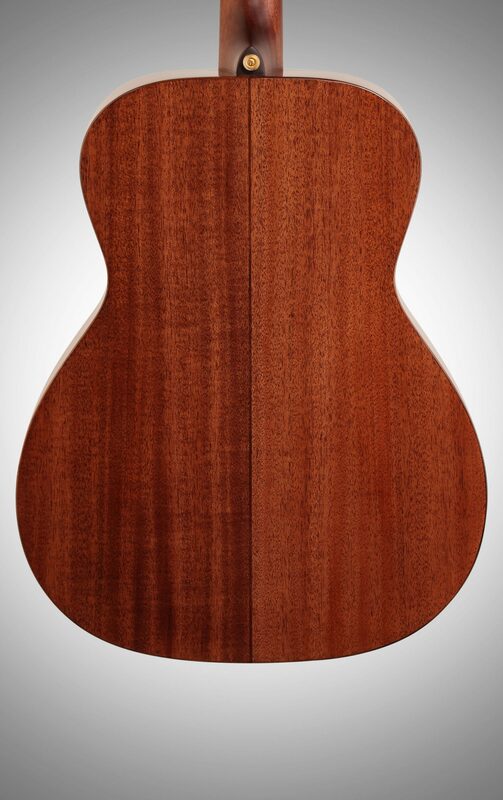 Overall: I bought an Alvarez parlor guitar that had a solid mahogany face. The sustain was crazy (could run my pick across all six strings and the sound went on indefinitely). 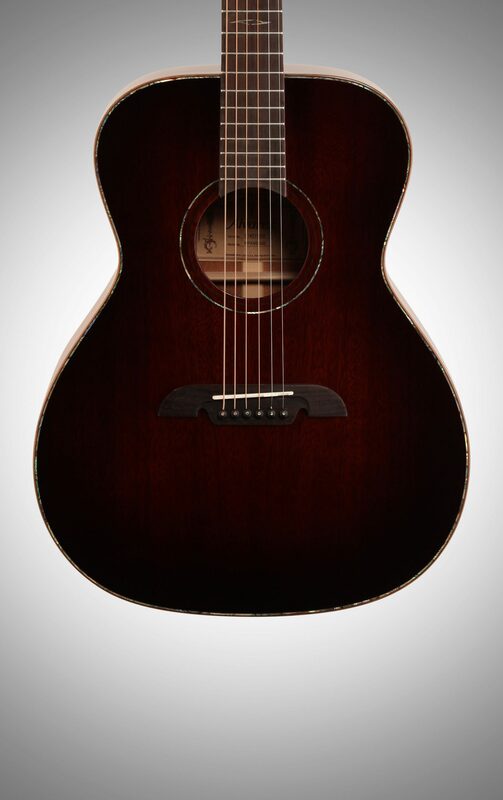 Was so impressed that I wanted to delve into the masterworks series and so got this guitar. I have to say, I enjoy playing my rosewood guitars, but that is a whole different (and wonderful) experience. This guitar is very articulate in the mid range, but without a significant loss of highs or lows. I am a dreadnaught guy, but thought I would try something a bit smaller to play standing up with a shoulder strap. This guitar fits the bill nicely. BTW, loved the deal with the free ukulele. It is much more impressive in person and almost seems like a min-parlor guitar with nylon strings. My wife has small hands and cannot finger a traditional fretboard. I am going to give her the ukulele for her birthday. Style of Music: Rock, country, Christian.